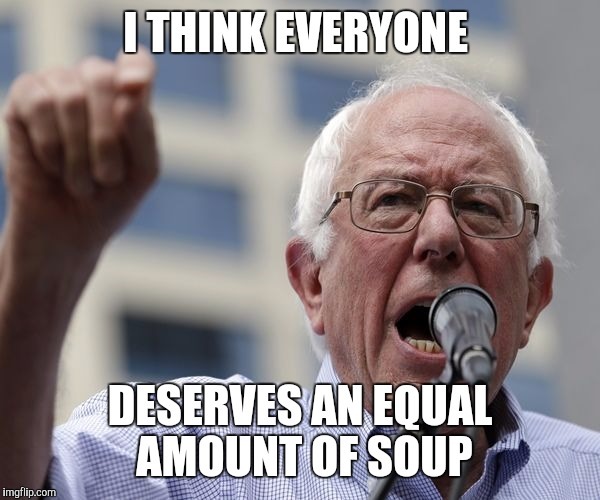 My level at giving you, Mr. Sanders, the time of day is at "Harrison Ford." 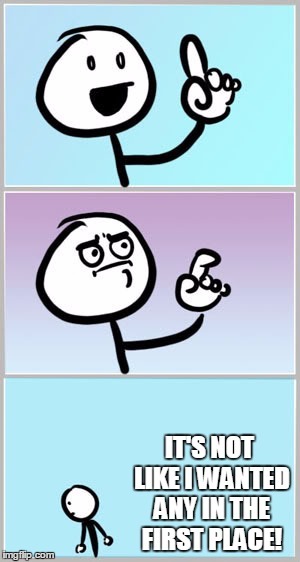 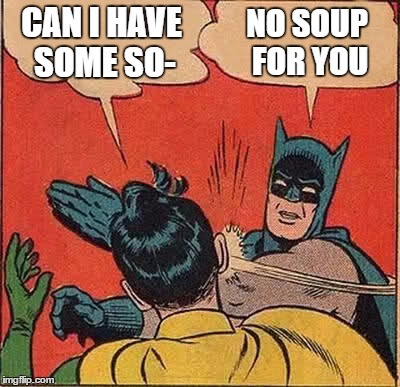 Just kidding, I like this! 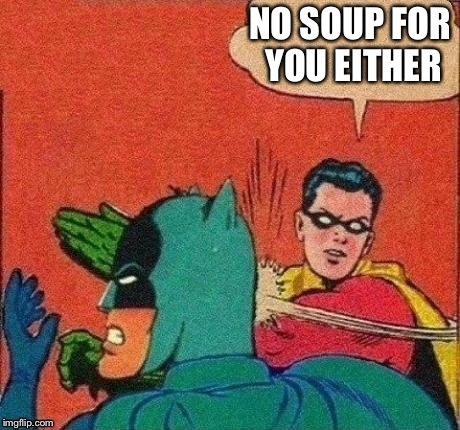 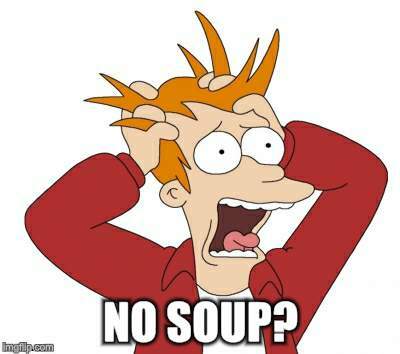 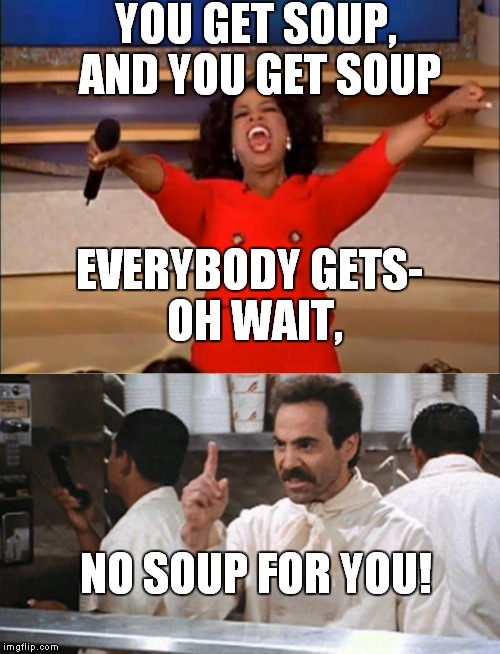 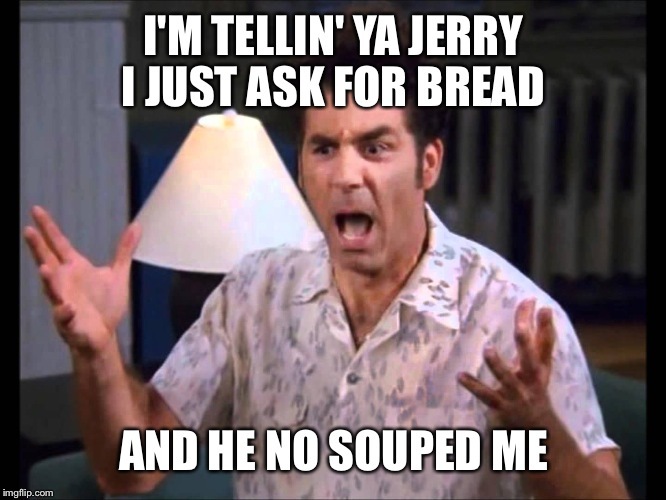 YOU GET SOUP, AND YOU GET SOUP; EVERYBODY GETS- OH WAIT, NO SOUP FOR YOU!